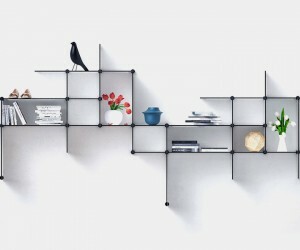 Design the layout, shape and size of your own shelving system with the stunning Up The Wall while simultaneously converting your storage space into an artwork that says something about you. Designed by the Bent Hansen Studio, the shelves are available with a laminate finish in either classy white or a brooding black. With more people embracing all that cycling has to offer, where to store your bike has become a major concern. 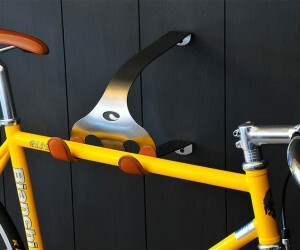 With the Cactus Tongue Bicycle Mount you can secure your bike in small spaces–at home, work, or on any wall–with style. The Cactus Tongue is not only easy to mount and incredibly functional, it’s designed to be beautiful and actually enhance your bike’s display. 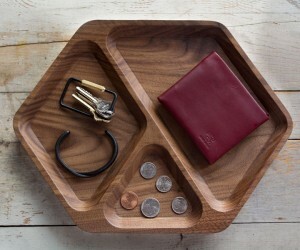 Cleverly crafted cradles to keep your desktop clutter-free, the M&U Solid Wood Trays are carved from durable maple and walnut woods and whittled into hexagonal or rectangular shapes. These beautiful, eco-friendly organizers comprise various compartments for sundries such as coins, cards keys and cellphones and are all finished with a durable low-sheen varnish for extra protection. 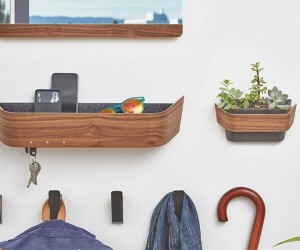 Say hello to Switchboard, a very smart hanger for your coats and other clothing items such as caps, scarves and even bags. This wall mounted creation sports the cleverest of constructions courtesy of triangular hooks which flip back up when not in use. The artwork-like minimalist design is carved from beech wood. People will immediately see how much you value your record collection when it’s properly on display and in easy reach in the Kai Takeshima Record Display. Each of the six shelves is 9-inch deep and the unit holds approximately 290 records. 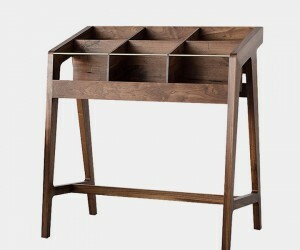 Beautifully designed with simple elegance, the Kai Takeshima Record Display is an honorable home for your prized collection. When everything has its own place while you maintain your own personal sense of style, you are enjoying the Grovemade Entryway Collection. From the premium vegetable-tanned leather and brushed aluminum wall hook, to the sculpted walnut wall catch-all, all of your home items will have their own place right where they are supposed to be.